Owen teamed with David Evans & Associates in providing Design Review as part of Construction Management services for the World Trade Center Transportation Hub in New York City. Owen provided mechanical, electrical, and plumbing engineering design reviews. 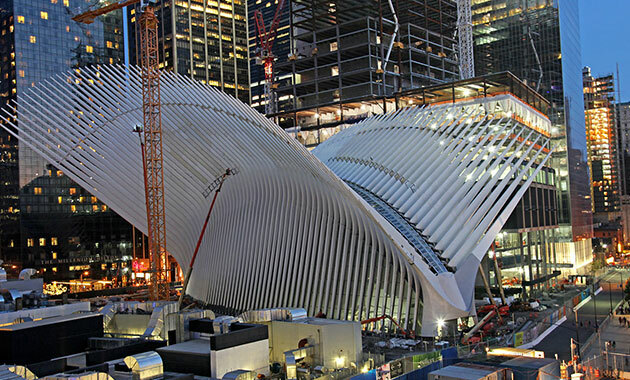 The reopening and reinvention of the Oculus Mall at the World Trade Center is now complete and shows how much has changed since 9/11. The Oculus and overall site location is now a symbol of hope, opportunity, progress, and perseverance. More than 100 stores will occupy the 365,000 square foot center. Check out the photos at the website below, which show the Oculus mall.